Get barre certified. Barre Teacher Training in the PNW just outside of Portland, Or. Weekend Barre Teacher Training, Barre Certification and Barre Instructor Continuing Education. 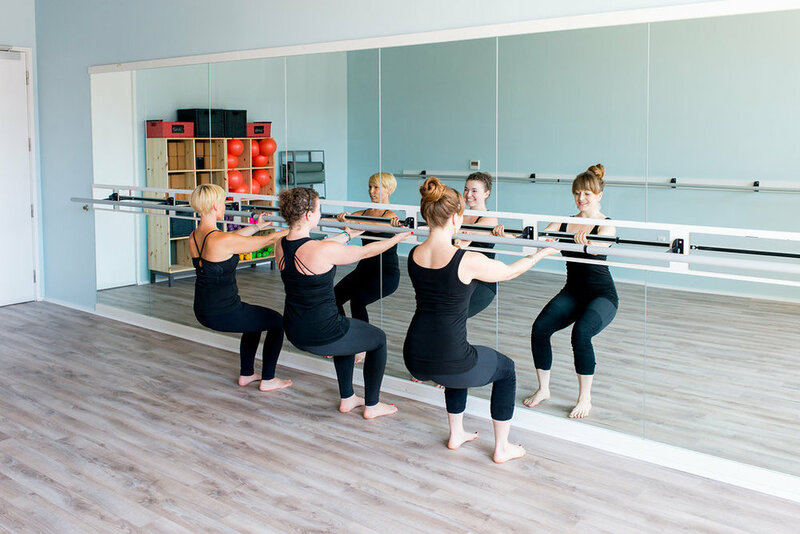 The Yoga Barre classes are known for being empowering, effective and fun and are a dynamic fusion of fitness styles including ballet, Pilates, and yoga. In this teacher training you will learn a fun and upbeat sequence, elements of all 3 fitness styles mentioned, proper alignment, modifications, good cues for clarity, and how to create and sequence a great class with killer music. This training is small in size for a personalized experience so that every instructor leaves with the information they need and want. 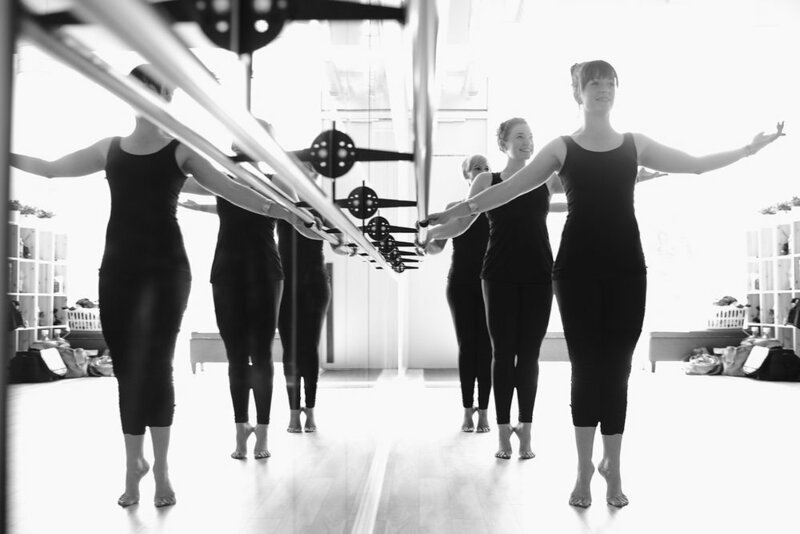 Unlike any other training you will learn how to design barre style fitness classes that feel like Y.O.U. How to bring in your passion, your moves, and your personality and still provide your clients a killer class. 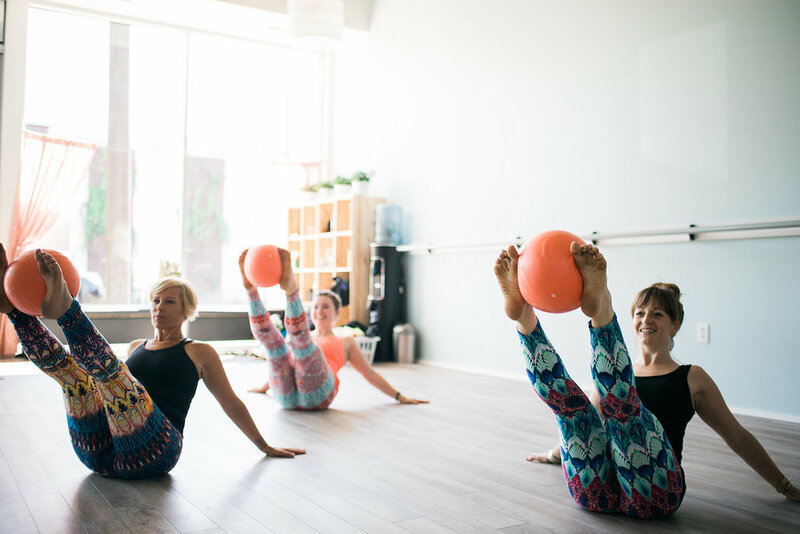 By the end of our barre teacher training you will have all of the tools you'll need to be a polished instructor, be fully prepared to teach a fluid and fun barre class, and have a stellar community of empowering women supporting you on your journey as you move forward. Get Barre Certified. Weekend Barre Teacher Trainings Serving Oregon, Washington, California, Idaho, Nevada, the east coast, and midwest. No matter where you're from, we got ya covered with this Barre CErtification. Be the first to get updates on upcoming trainings and goodness! This teacher training is great for fitness instructors looking to add new ideas and inspiration to their current classes, students who want to deepen their understanding and practice of the yoga barre method, and anyone who is interested in learning how to teach, create, and effectively lead fun and upbeat barre classes that leave students wanting more. What are the pre-requisites before taking the Barre Level 1 Teacher Training program? Ideally you would have one year of barre method, group exercise, yoga, Pilates or dance teaching experience, but we absolutely love training new teachers who are fitness enthusiasts with the motivation to succeed. You should absolutely become CPR certified and get liability insurance before you begin teaching as well. We limit our class sizes to twelve as we believe in giving the highest caliber of training possible. In our methodology, enthusiasm to learn is given preference over experience - though experience never hurts. They are long. You are going to be well worn and tired. Your brain might explode from all the information – we mean that in a good way. It’s normal to feel pleasantly overwhelmed. Bring snacks and late lunch/dinner as we typically only break for an hour (there are also restaurants on Main Street if you do not want to pack food). Absolutely! You just won’t need to take our teaching exam at the end of the training to receive a certificate (unless you change your mind). Must I take both weekends to certify? No - However, taking Level 2 to continue your barre education is highly suggested and if you are interested in teaching at The Yoga Barre, it is expected. The only way to learn to teach is to get out there and start teaching. Is there an anatomy module? It is not required but it is STRONGLY recommended for those who have little anatomy background. Before completing Level 2 participants should complete a Pilates or Yoga Anatomy Training before teaching part or full time. If I become certified in The Yoga Barre Method can I teach other forms of barre? Yes, but you cannot call your classes Yoga Barre style unless getting written permission from The Yoga Barre. You are welcome to take more barre trainings to expand your knowledge but are not allowed to create hybrid styles as this dilutes our method. If you choose to create hybrid classes you may say that you are, “certified in Barre by The Yoga Barre,“ in your bio, but it in no way should your class title, description, or advertising reflect The Yoga Barre branding. Our methodology is trademarked, please be respectful, violation of this can result in revoking of your certificate. Refund policy: This training is not refundable. That being said, each case will be dealt with on a case by case basis and may receive partial or full refund if deemed appropriate. Do I need CEC’s to stay Barre certified? Not at this time, but it is highly encouraged to take other Barre training to keep yourself current and fresh. It feeds the Barre Teacher's soul to learn new things! You will be given a manual during the first day of the training. Please bring a pen, water, snacks and a late lunch/early dinner. We will sweat. A lot. So bring an extra change of clothes.